Animal Health Foundation: Laminitis Research : Laminitis Research: Your horse can help make laminitis history! 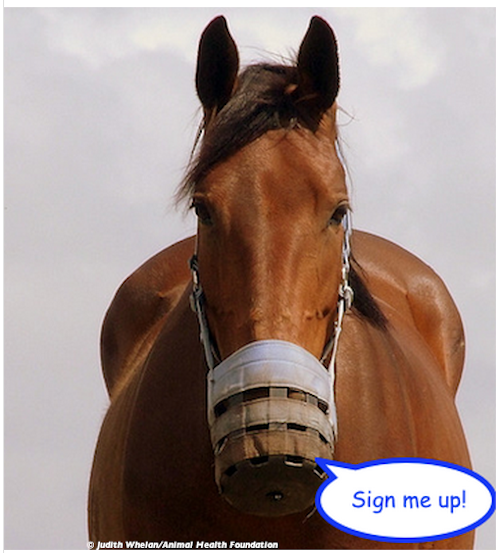 Laminitis Research: Your horse can help make laminitis history! Please assist laminitis research by documenting cases in your care this year...whether you are a veterinarian, farrier, horseowner, or student, you can get involved in research and help put an end to laminitis. Read on to find out how! Veterinarians: Follow the simple directions below. Horseowners: Urge veterinarians to enroll horses with laminitis. 1. Identify a case of laminitis, with any cause. 2. Gain the owner's consent to enter the horse in the study. 3. Complete a short online survey. and ACTH analysis at US lab. 5. Encourage the owner to complete his/her own online survey. Thank you for being part of this important effort to understand recurrent laminitis.